The idea of arbor industry regulation in Australia has always seemed like a fantasy, but here we stand in 2019 on the precipice of just that thanks to the hard work of Arboriculture Australia. I caught up with the general manager of Arboriculture Australia Roxanne Price, to talk about their licensing program, and how it is designed to usher in next phase of Government backed regulation. 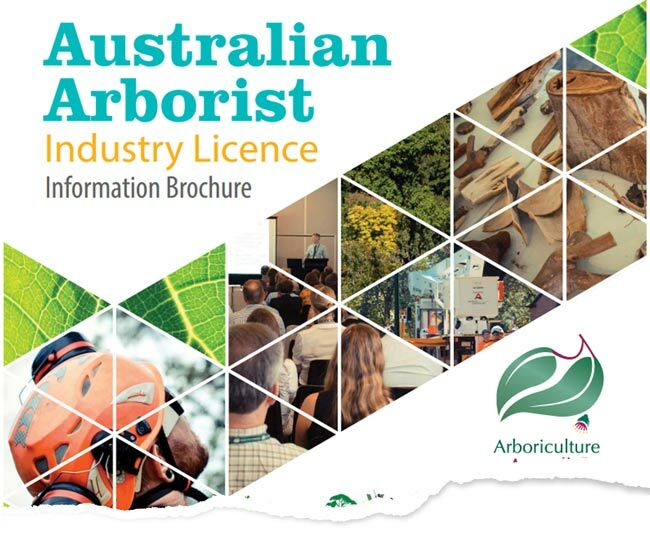 Ben: When did Arboriculture Australia begin issuing licences? What prompted it? Roxanne: For the license was initially launched at our 2017 annual conference, which was in Canberra and the first licenses were actually issued at the conference. It was prompted by the call for industry regulation. Some time ago we had spoken with government representatives about how we would go about having the industry regulated and the advice that was received was that, the first step was to introduce a system of voluntary licensing. And then when we get to 10,000 members, the government will consider regulating the industry. Ben: That’s huge. What’s the response been like so far? Roxanne: It’s a mixed response. The big companies that would be the ones that really got things going are concerned about the administrative overhead for them of actually going through the process of providing all of the documentation that’s necessary for their staff to be issued licenses. And so until we come up with a method of making that easier for big companies to do, they’re not really interested in taking up the license. There’s been a fair response from individuals but again, it’s something that we really need to be promoting as an organization to actually get things moving and we have a plan in place for that. Ben: Okay, great. And that’s what sort of prompted this interview for me. I discovered it on your site and I had no idea that you guys are doing this. I thought, “Wow, we really should do a bit of an interview and we can get it going.” Hopefully I can promote it to some of my guys and help get the ball rolling. Roxanne: Absolutely. It’s a fantastic opportunity for us to actually start promoting. Ben: Yes, for the whole industry I think it is. Ben: So, I understand there are two tiers of licenses, what’s the difference between them? Roxanne: Really the differences between the two licenses whether people are continuing their education. So the tier one license is for professional, registered, consulting or practicing arborists. Within that tier there are three categories of license. So there are quite a lot of categories of license, which means that there’s something pretty much for everyone. But that tear one license requires specific qualifications, it requires specific insurances and it also requires a commitment to ongoing education. So people who don’t have those specific qualifications or don’t want to commit to continuing education, then the tier two license is the option for them. There’s five categories in that one and the major thing in the tier two license is that all license holders must have a construction induction card. Ben: So a white card, yeah? Ben: So the tier two would probably be what I’d imagine a lot of guys would sort of go for. Roxanne: Exactly. And yet that tier two is definitely the more popular of the two because it has less requirements. Ben: Does a business get licensed or does an individual get licensed or is it sort of both? Roxanne: No, licenses are issued to individuals only because it’s the individual who has the qualifications. Roxanne: A lot of businesses will pay for their staff to have licenses, but the license is still issued to the individual person as opposed to the organization. Ben: Yeah and I mean that makes sense too because so many of us subcontract climber and groundies so you’d want them licensed if they’re going to be climbing for you. Ben: All right. And how would someone listening, obtain the license, what do they need to present? You mentioned they need a white card, as a minimum, I imagine cert three and insurance, would that sort of cover it and then they could just sort of send that to you and that they could get licensed? Is that how it works? Roxanne: It really depends on the tier of license as to what information I need to provide but the basics are we need; a passport sized photo to be able to issue the license with the photograph on there, we need a copy of a passport or license to verify that the person is who they say they are, we need copies of their qualifications and a copy of the construction induction card. So they’re the minimum requirements. The application form is on the website and the membership or the license brochure is there, which specifies these requirements, but they’re the basic ones. It becomes a bit more complicated when people are going for the tier two license and they’re the registered, professional consulting or practicing arborists. Roxanne: We need insurance information and everything as well. Ben: I did see a bit of information about that on your leaflet, so I can certainly put a link under this interview for anyone wanting to read about it. Roxanne: That would be great. Ben: Not a problem. Happy to do it. So people need to be a member of Arboriculture Australia to get these licenses? Roxanne: For the tier two license, no they don’t, but for the tier one license. Because the tier one license, you need to be a registered, professional consulting or practicing arborists. The only way you can achieve that is by being a member .The license is actually included in that membership fee, so there’s no extra cost for the license. It’s just a matter of providing the qualifications and maintaining those continuing education units. Ben: It sounds like it’s sort of all wrapped up together. If you’re going be a member of Arborculture. Ben: And how long is it valid for? If I’ve got one now, is it valid for 12 months, five years, 10 years. How does it work? Roxanne: Depends on the license. Again, the tier one license because it’s tied in with the continuing education units, which have to be achieved annually. So its a one year license. For the tier two license; they were initially issued with an expiry date of 31st of December, 2020, but they will be a three year license from then on. Ben: Great. Tell me, so we have spoken a lot about industry regulation and hear it through the industry all the time, licenses are definitely the first step. 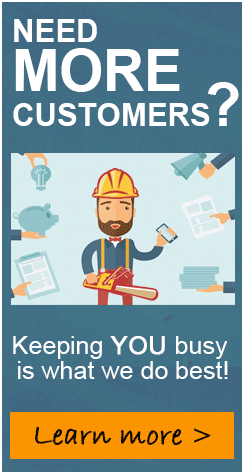 I think what you’re doing is fantastic, but what is it going to take for the Abor industry in general to be like plumbing or the electrical industry in Australia? What’s it going to take to get governments on board? Who do we need to sort of convince to really sort of take it to the next step? Roxanne: Well, as you say, the licenses are definitely the first step. So to see our industry regulated, we need to convince the government that that’s what the industry wants. So currently the license system works on a voluntary basis. Realistically, we need to convince the industry of the benefit of being licensed in order to achieve the number of licenses we need. For the government to be convinced that this is what the industry wants. So the indication is 10,000 licenses is the number that we need to have out there before the government will consider regulating the industry. Ben: The government will take notes. That makes sense. Roxanne: Well, I would hope so. And as I said, we do have a project in place now that will make the process much easier for the larger employers to be able to have all of their employees licensed without going through a lot of the admin to achieve it. And once we actually have that process in place, I believe that will achieve a far greater number of licensed members then we have at the moment. That’s just in the trial phase at the moment but we should have done our first trial before the end of this month and then we’re moving on to a bigger trial, in February. Ben: Amazing. I think if anyone were to do it, I needs to be Arboriculture Australia and I think it’s fantastic that you are going ahead with it. I think it’s great. Tell me, last question, where do you see the license program in five years’ time? Roxanne: I would hope that we would be very close to industry regulation by then. I anticipate that by the end of 2019 we will have thousands of licenses issued. At the moment we are in are in the hundreds, but I would hope that by the end of this year we’ve got thousands and once we get the ball rolling and pickup a bit of momentum, I think we’ll actually be driving far greater interest and far greater numbers of license holders. So five years time, we may not yet be regulated, but we will certainly be well on our way towards it. Ben: Fantastic. Well look, it’s a first step and at the moment everyone refers to themselves as a qualified arborist let’s just hope in the near future it’s more, they’re referring to themselves as a licensed arborist! Ben: Not a problem. Okay, Roxanne, thanks again. Take care. Ben: Hopefully this sheds a bit more light on the licensing program and prompts people to step up and be a part of it. Roxanne: Absolutely and thank you for the opportunity to talk about it.